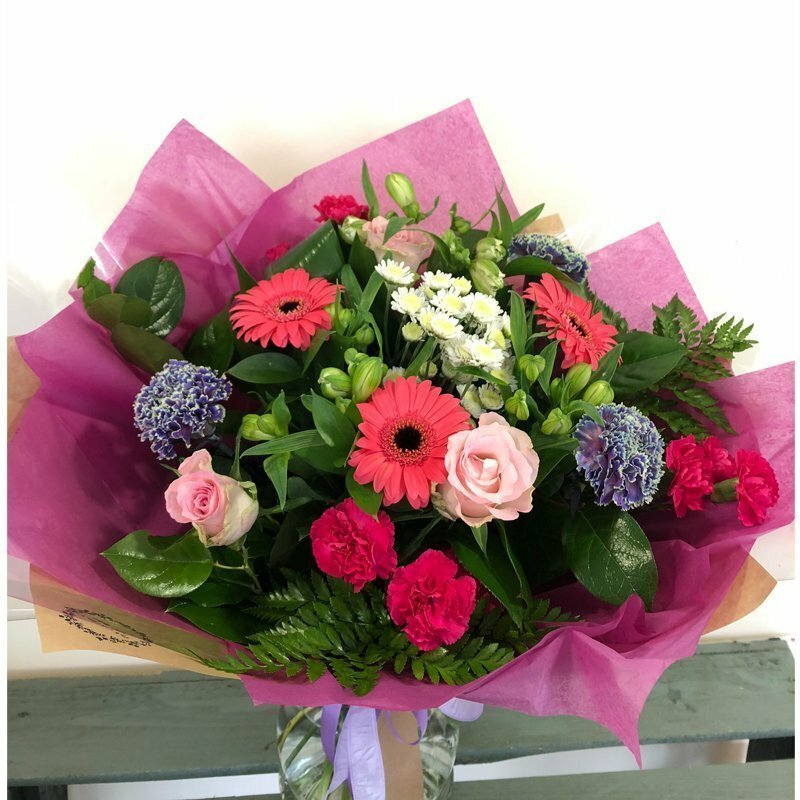 A glorious celebration of beautiful blue and pink carnations, light pink roses, gerberas and mixed with alstromeries. 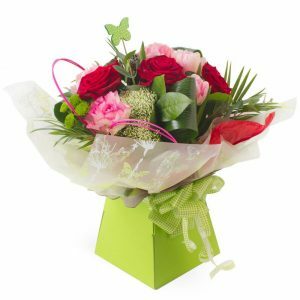 This arrangement is skillfully arranged by our talented florists and is perfect for all occasions. 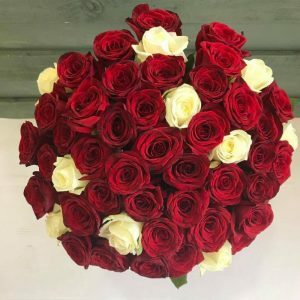 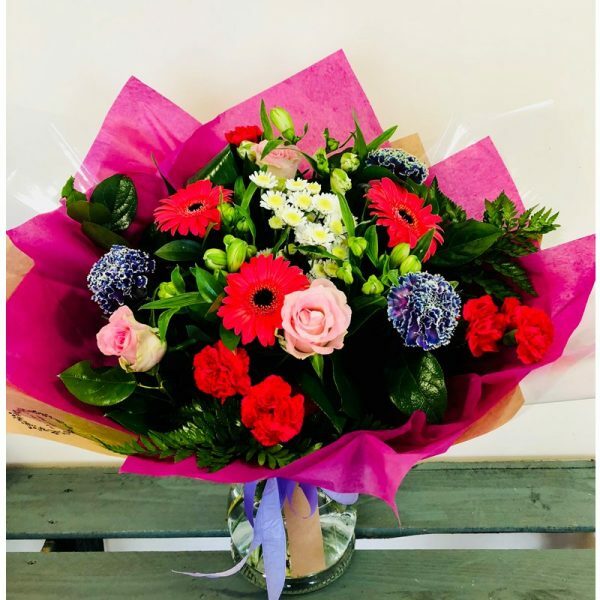 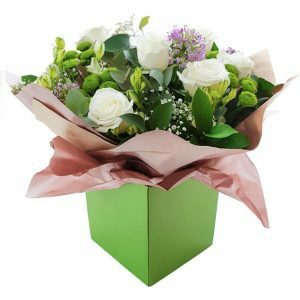 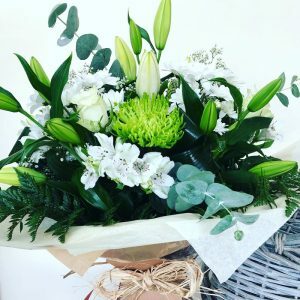 Please note that florist cannot guarantee what the flower varieties or colours will be, we guarantee that your specific arrangement will be fresh and beautiful.